At Intelerad, we are dedicated to developing industry-leading radiology solutions that facilitate the lives of radiologists and physicians. As such, it is always enjoyable to release a new version of our solution to market, as we did in mid-August with the release of InteleConnect 4.4.1. The new version of InteleConnect is the culmination of many hours of work. The development cycle for the release began months ago, with a tremendous amount of research and in-depth conversations conducted with customers. This was followed by selecting the features that we felt would deliver the most value to the greatest amount of customers, while keeping in line with our product roadmap. Once the feature set was established, it was time to get our hands dirty and start developing the features we selected. 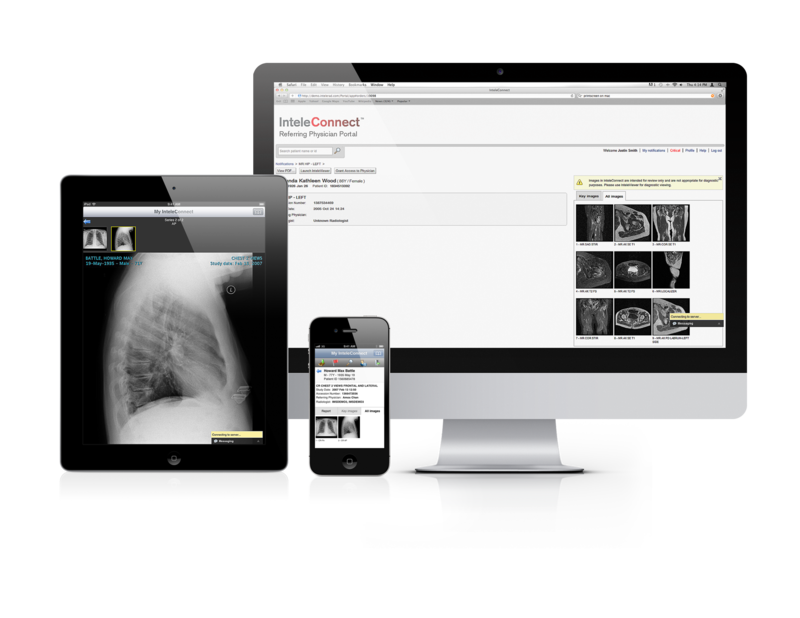 Instant messaging for consultations and real-time confirmations that physicians have viewed results. On-refer functionality, so referring physicians can refer a patient to a specialist without burdening our client’s admin staff. The ability to display multiple levels of critical results, pending critical results and results acknowledgements. Break-glass functionality, which provides clinicians with self-service access to restricted patient results. This feature removes the administrative layer so physicians can grab information themselves without having to wait. Of course, this is audited to ensure patient confidentiality and clients can choose not to enable this functionality. A free iOS app, available in Apple’s iTunes® App Store, which provides physicians with instant notifications regarding pending cases on their iPhone, iPad or iPod Touch. We’re quite proud of the amount of features that we were able to pack into this release, and are looking forward to building on this with future versions. From conversations with customers, we have a growing list of features that we are looking forward to adding. In order to get these features into customers’ hands as quickly as possible, we are aiming to shorten the time between releases, so the user experience is always optimal. As I sign off, I’d like to extend thanks to everyone at Intelerad who was involved in this release. It took a lot of hard work, which is truly appreciated. Now on to building the next version!